There is something ghoulish and menacing about the bat-like silhouette in 1920s psychometric tool the Rorschach Test. This beastly, anthropomorphic figure is a favourite of pop culture, having been used to mark anti-heroes in Batman and Watchmen, appear in swirling music videos and be turned into fashionable prints for hip designers. But for many who saw the bat during the test, it was most probably coloured with the fear and anxiety of being in a psychologist’s room, as they were asked to weigh their sanity on a collection of random, inky slides. These tests are still being used today -- albeit rarely in Australia -- but they have formed the basis of a field of psychometric testing which now includes video games, recruitment tools and conversation prompters to unlock the subconscious. University of Newcastle Psychology and Psychiatry lecturer Dr Miles Bore told The Huffington Post the test, designed by Swiss psychoanalyst Hermann Rorschach, riffed on a body of research about the subconscious led by the father of psychoanalysis Sigmund Freud. “The idea was to create an image completely devoid of emotion or intention,” Bore said. “That way, the idea was that when people looked at it, they would project their own innermost wishes and desires. “It’s based on the Freudian idea of the subconscious, to find a way to prompt people to project their inner thoughts without the source material directing them. Bore said he did not endorse the test and issues arose with the way it was ‘marked’. “The interpretation of the test is what concerns me,” Bore said. Indeed, the test was used to indicate schizophrenia, depression and all manner of mental illness. From the 1920s when the test was created to the 1960s, when it was used commonly, and in 2000 when a study called Developments in Social Work Offenders found 20 percent of psychologists still used it, several different scoring systems were created by different people and groups. Today, there are forums dedicated to showing people how to cheat the exam. The take-home of these forums is to focus on the centre of the image, and not fixate on the splatters on the fringe. Other red flags include seeing moving shapes in the ink or having a strong emotional response to the images. 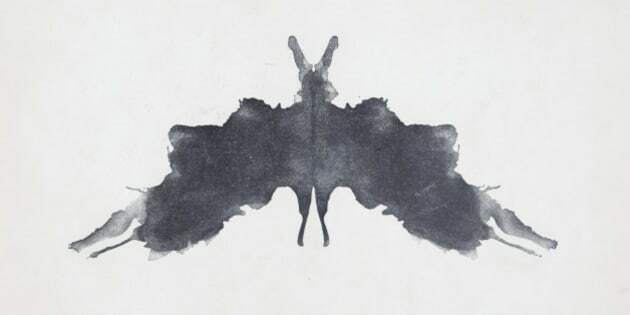 Fast forward to today and Rorschach testing is not commonly used in Australia, but the field of psychometric testing - - which measure an individual’s mental capability and resilience through a standardised exam - - is growing quickly. As Brisbane psychometric testing company Revelion chief executive officer Cherie Curtis said, testing has come a long way. “Tests like Rorschach are seen as being quite mysterious and almost a dark art whereas now, psychometric testing is very scientific -- it’s based on data and complex algorithms that remove human error,” Curtis said. Curtis said her company had pioneered a video game test that was so popular, she couldn’t imagine creating another non-game-based test. “We’ve had an incredible response,” Curtis said. The game sets the participant up as the owner of a theme park. As participants make decisions about designing a water park or selecting ride tokens, the game is recording pointers about the upshot of each decision and the time taken to make it. “It’s capturing multiple data streams and providing incredible insight but people are also having fun, which means they’re a bit more relaxed,” Curtis said. “We’ve had people get in touch to say that they were asked to do the test when they were going for a job, but can they please have access to it again because they just want to play it some more." In the future, Curtis predicted the field would become more commonplace, with people seeking out psychometric testing to learn more about themselves. And as for Rorschach's 10 slides? "We've moved far beyond that now," Curtis said.